You guys, this is so neat! 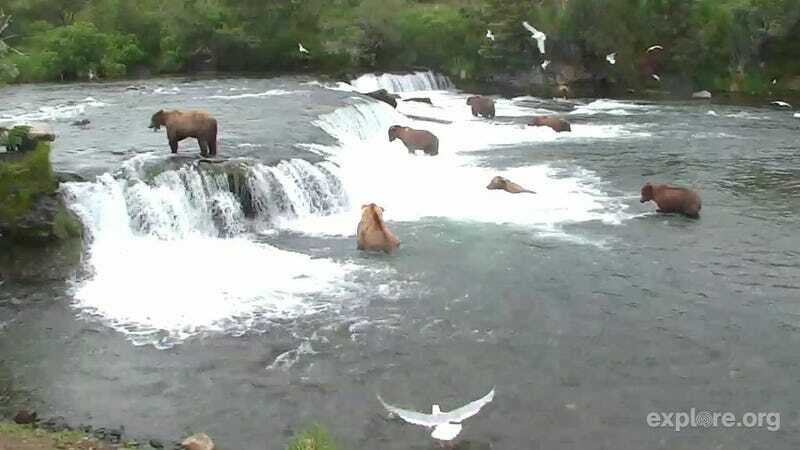 Explore.org has a live webcam going of bears catching spawning salmon (well, I'm guessing that's what they're doing anyway) and feasting on their sashimi-ness. The feed is coming from a stream in Alaska. There are links to several other cams below. You can also do screen grabs (like the one I did above) by clicking on the camera icon.